Product Showcase: Graphic 45 and a prize GIVEAWAY! I mean really....look at this gorgeous paper! For this month’s review I had the pleasure of working with Graphic 45 papers! Let me just say right now that I was in patterned paper heaven! I love the vintage look to all their papers and really had fun creating projects with them. The themes they are offer are just incredible!! 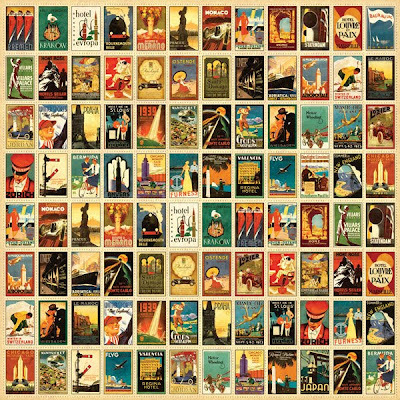 My favorite had to be Communique, Transatlantic, Renaissance Faire, Christmas Past, okay, okay, they were ALL my favorite! To satisfy your Graphic 45 cravings they recently have been offering paper pads which gives you a wide selection of double-sided papers and punch-out tags and embellishments to go with those papers! In all Graphic 45 offers 10 incredible lines! What I liked: I really appreciate the old world feel to many of their papers. I love how all the papers are double sided so you have so many choices and combinations work with. I fell in love with the Christmas Past, Transatlantic, Renaissance Faire, and Communique Collections! 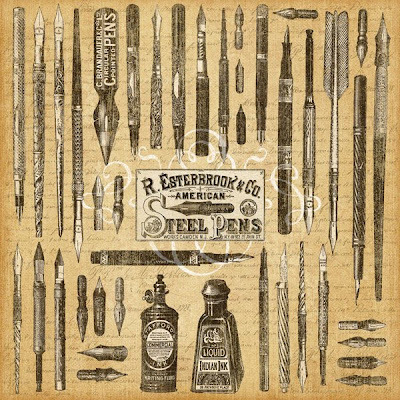 These collections are so different from any scrapbooking paper I have ever seen. They remind me of really beautiful wallpaper and I love them! 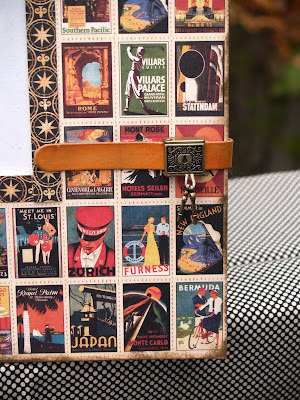 For anyone who loves vintage these papers would be perfect for you! I also appreciated the matching tags that come with the collections. It's a great way to add some detail that complements the papers! I love the idea of using “vintage” looking paper with modern photos or themes! And if you have ever seen photos of Graphic 45 booth at CHA you know what I mean!! You must visit their blog to see how others are inspired by their beautiful papers! They also have a Ning site that you can join and be a part of the Graphic 45 community! What I didn’t like: Some of the papers might be too “busy” for some people. There are pages where I am not too sure how I would use it but…..there are a lot of sheets where I would have no trouble at all figuring out how to use them! Other than that….I got nothing! My mom still writes letters so I made her this box. I used the Graphic 45 paper to make handmade envelopes and to decorate the inside and outside of the box. I think she will just love it! The Communique paper was perfect for this project! 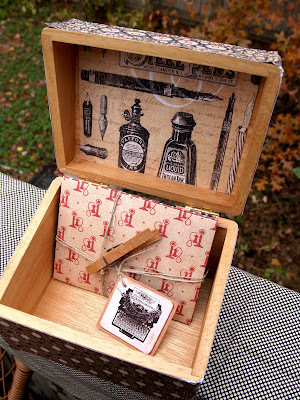 Supplies: Graphic 45 papers, old recipe box, Scor-it pad, Scor-it A-2 envelope pattern, twine, old clothespin. What do you think: Have you seen Graphic 45 papers? Have you used them. What do you think of them? What kinds of projects are layouts have you made with their papers? Let us know what you think! Leave your comment by 12pm EST Tuesday and be entered to win a prize pack from Graphic 45! I really like these papers. I do agree some look hard to use for say a regular scrapbook page but for altered art? I think these are perfect. I love vintage images and it's nice to see a company that really embraces the look and puts it's own spin on it. These papers look gorgeous. I love the vintage look, so I think I could find lot's of uses for them. Thanks for a chance to win. I am not the greatest fan of this brand, but I think they have some nice papers. I really like the ones with smaller prints or prints that can be easily cut out. But things like the first paper you showed in the review, are not my cup of tea! Where am I supposed to put my pictures??? There are so many figures on it, that I have to make a person headless to incorporate a photo! Too bad! I love these new papers! I have used Graphic 45 before. I have made a few layouts!! Thank you for sharing! I love Graphic 45, but not as much for scrapbooking. I think, like you have shown, that their lines are best used in home decor projects. Beautiful! I just love Graphic 45. I think they're perfect for heritage work. I never would have thought to do a frame but now I might just try that with my extras. Thanks for the ideas! This is one of my new favorites. . .I love the idea of gifts/projects. I am always so focused on putting beautiful paper on a page and then closing the cover. . .what's that about??? I recently found these at a local store. I think your projects are perfect with these papers and they really are terrific papers! I've been doing some ancestor pages and these motifs really give you that feel. Love it! Love Grafic 45 and the projects you did with this line are just beautiful!!! I love Graphic 45 papers! Your note box is wonderful! I really love it! I love their papers. I really want to buy the Xmas line just because of the old world, vintage-y feel. They are just beautiful. However sometimes when I look at the papers, they are just so beautiful that I don't want to cover them up with anything! I really, really love how you used some of the papers to make a picture frame, what a beautiful idea, and it still gives you enough paper so that not all of the design is hidden. I love Graphic 45's papers and recently purchased the Christmas Past pack to use in a Christmas journal that I'm working on. I really like anything vintage and I especially like the busy patterns. I love the old world feel, some do look like they have a busy pattern but as shown would look great on altered art, journals, etc. I love Graphic 45 and use it a lot! 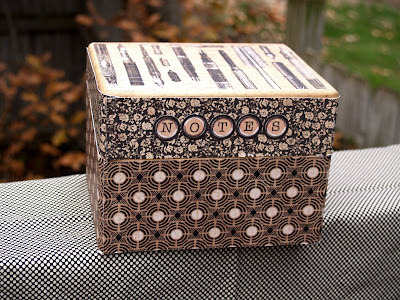 I made a box completely out of cardboard scraps and inside that box sits a custom made poetry journal covered in Graphic 45 and Tim Holtz metals. I made it for my nephew's graduation present. His mom cried when she saw it. :) Nuf said. Love the papers and would love a paper pad! I have never heard of this company, but these papers definitely stand out as unique. Thanks for sharing this! I would love a chance to play with some Graphic 45 product - thanks for a chance to win. I have heard of this paper line but NEVER seen them in real life or used them. I would love to see and experience them for myself. I see this line show up and love the vintage look! Your projects are gorgeous!! Love how you incorporated the papers! I love Graphic 45!!! They are so beautiful. I don't think that you could ever make a mistake with them. Great projects!! I use Graphic 45 for some of my more challenging layouts; it really can make a picture pop! I love Communique...my favorite...yum! Love these papers, so vintage, bring back memories. I had so much fun, I went back to my LSS and bought some Domestic Goddess. I'm hooked! I really love these papers, especially Communique--I would love to cover a journal with some of that line. I absolutely adore Graphic 45 papers!! I haven't used them yet, but I did fall in love with Christmas Past and have quite a few old heritage pictures from Christmases at my grandma's house and plan to do a few of these with that line. I did buy the paper pack and just love it!! Such wonderful vintage looks!! I love vintage and was into it even when it wasn't popular. One of my favourite things is to cut images from the sheet to use as focal points or accents. I think I have a few sheets of this paper from a scrapbook monthly kit I bought and I've had a blast with them. I love, love, love Graphic 45 and use them every chance I get!!!!!! Awesome review, thank you!!!!!! I fell in love with Graphic 45 the first time I saw their papers. I have made many mini books with the paper and several wedding pages with the earlier paper. And of cards...this paper is great for cards. I recently discovered Grapic 45 as I live in Canada and I fell in love right away. I used the domestic Godess line for an album I am doing for my Grandparents and I also re did a lamp shade and a recipe book. I love the paper, it's vintage feel and the business doesn't bother me. I love the rich bold colors. Check out my blog for the lamp shade and recipe book. Thanks for the chance to win a great product that is hard to find in canada. I love the quality of the Graphic 45 papers! I Love these quality papers! I used Graphic45 at a class for a 6x10 travel album...it's awesome! I love the vintage feel of some of these papers and I think you can make anything look fantastic with them! I would love to win some of these to do another album...thanks for the chance! I really love texture of the Graphic 45 papers and I also love the old world feel - they are great for pieces that need that antique feel. I love these papers! I've only seen a few of them in stores, so I was pleasantly surprised by all their offerings. I've purchased and used a few from the Transatlantique collection. I was in Europe this past summer and used them for scrapbook pages (no brainer! ), but I also used them for cards. I absolutely love Graphic 45 papers!! They are a bit busy for scrapbook pages, but for altered art & cards they are the "bees knees". I make a lot of altered comp books and they take to the books like a flash out of the past. They are very inspiring! Simply Love this line of paper. I have only seen Graphic 45 papers online none of my LSS carry them. I think I might buy some online and give them a try. Their stuff looks gorgeous. For the most part, I LOVE the Graphic 45 papers and have bought most I have seen IRL. There are a few that scare me LOL but on the whole I think they're beautiful :) Thanks for a chance to win! Great box. Thanks for the chance to win an awesome package. 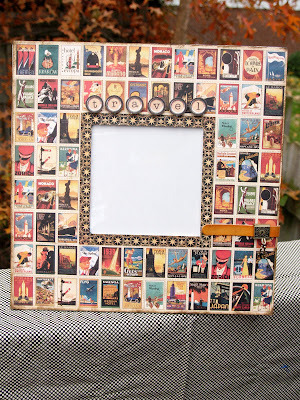 Never have used the Graphic 45 papers but LOVED the photo frame that you made! I could see myself using it on some vintage photo's of my grandparents. I had not seen these papers before. Thanks for the review. I can see there are tons of uses for them. Wow, what great vintage papers. I love the projects you created with them! They are perfect for projects like these. I have not tried them myself yet. Thanks for the chance at the give-a-way. 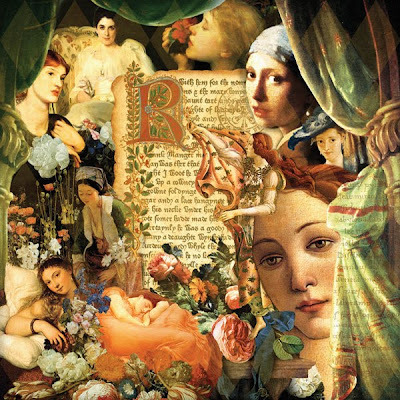 I've heard of this company before but never used their papers..i do like the vintagey feel of the papers but i'm not sure how they would look as complete lo/s though they would be perfect for collage art/altered art & i would definietly buy them just for that purpose !! I love Graphic 45 papers! I've used it for vintage layouts...add a little crackle paint in rock candy and you get amazing texture on the gorgeous papers! I've also used it on graphic layouts by layering the papers on chipboard. I love Graphic 45, ESPECIALLY Christmas Past. So far I've only made one Christmas card, but they're definitely in my future. You're right that some of their patterns are a little busy, but since the papers are all double-sided, even if one side is too busy for your liking, the other side usually has a smaller more uniform print. Love their papers. Thanks for the chance to win! I have never seen this company in person but from the looks of it it's beautiful. Thanks so much for the chance to win. I have used the Graphic 45 paper to complete an album for my mother about her and her sisters growing up. It turned out very cute! I've used Graphic 45 papers for cards and altered projects, not so much for a whole page- love their vintage look that just gets better with a little distressing. Thanks for sharing the project you made for your mom! I've never seen Graphic 45 paper in real life. It looks like a lot of fun to work with, especially for altering items. Oh yeah, I love Graphic 45. Definitely have used them before and I love them! I love the Christmas past and Domestic Goddess! I have never used Graphic 45 papers and would love to have a chance to. Thanks for a chance to win. As a kid I was totally into stamp collecting. I still peel one off once in a while to save for a layout. I was in elementary school for the whole Spirit of 76 craze and went through a serious pen and ink phase. This is like a trip down memory lane for me. I just can't wait to get my hands on this paper! I gotta find some.